Our website is up and running. I can barely believe my eyes. To be frank, I don’t know what I really feel. Happiness? Anxiety? Restlessness? I think words cannot capture the mix of feelings that go through my mind right now. This has been a long journey for us. Filled with laughter, confusion and surprises. We have walked hundreds kilometers across Hong Kong’s streets trying to find just the right fabrics, ribbons, buckles and hooks. Talked with dozen of people. On how to set up a company, or build a website. Where to order labels, or to find a specialist shop for linen ropes. Believe me, the range of topics covered in these discussions has been astonishingly wide. 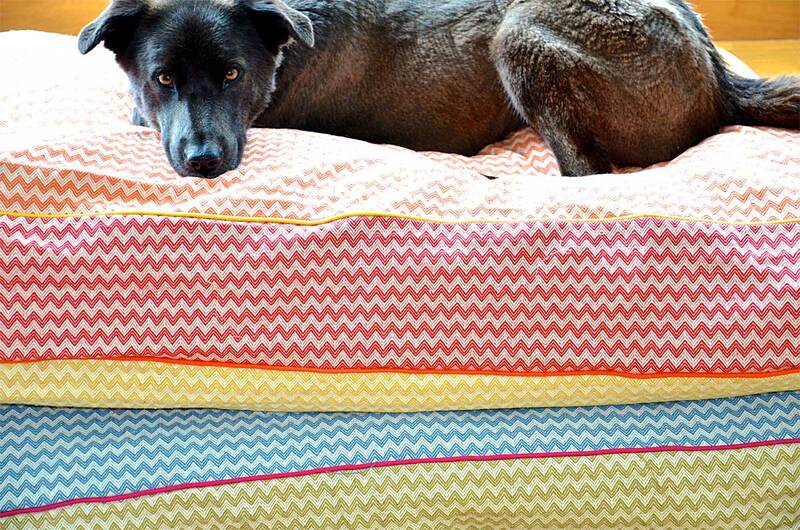 Today we start with our bespoke dog bed covers. In due time, our collars and leashes will follow. Our thinking is Small, Slow and Detailed, hence our product lines will grow step by step. The reason for this is, that we do not want run before we can walk. In the end, the whole point of this endeavour is to do things with pride and thought. Not making compromises takes time and is always somewhat a rocky and lonely road. But it guarantees that we can feel confidently proud on everything we offer. We do not wish to shout confidently to the world, that “WE HAVE ARRIVED!” As we have not. Today we have just taken our first small step. We are utterly grateful to many people who have made this day possible. As we have not come this far alone. On the contrary. If we would have done so, nothing would have happened. Absolutely Zill. Nill. Zero. Zip. Ei mittään. Hence, at this special moment. Me, Hulda and Iida want to thank you Kirsikka for putting these fantastic pages together for us. Without you nothing would had happened. Thank you Tuuli of giving us your advice on our logo. Thank you John of designing and finalizing it in details (at the middle of Atlantic Ocean!) – your patience to my constant changes has been truly remarkable! Thank you Merja, Annukka, Kirsi, Siru, Elina, Pete, Riitta, Tuomas, Sanna, Tea, Minna and Rilla for your fantastic advice, ideas and insights when I first approached you with this idea of ours. As I am writing these first words down its evening here in Shek O. Iida is sleeping upstairs and Hulda is doing what Hulda always does – guarding our street. Sun has just set. Sea is calm. The air sits still. I think rain is coming. Thank you all of your support that has enabled this to happen. I feel grateful. Very grateful.